Jason Bovberg is the author of Blood Red, and its sequels Draw Blood and Blood Dawn. 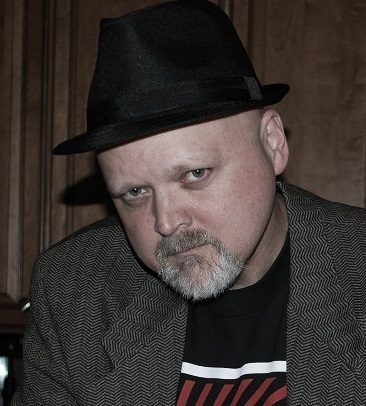 He is also the author of The Naked Dame, a pulp noir novel. He is the founder of Dark Highway Press, which published Robert Devereaux’s controversial Santa Steps Out, as well as the highly acclaimed weird-western anthology Skull Full of Spurs. He lives in Fort Collins, Colorado, with his wife Barb, his daughters Harper and Sophie, and his rabid canine, Cujo. You can find him online at www.jasonbovberg.com. To ask Jason Bovberg questions, please sign up. We’d love your help. Let us know what’s wrong with this preview of What We Talk About When We Talk About Love by Raymond Carver. We’d love your help. Let us know what’s wrong with this preview of Before She Knew Him by Peter Swanson. Exceptional writing and thought-provoking subject matter. The stories dive deep and challenge you to consider them carefully. This is my first Carver book, and you can bet there'll be more. And then I'll rewatch Short Cuts. We’d love your help. Let us know what’s wrong with this preview of Will You Please Be Quiet, Please? by Raymond Carver. We’d love your help. Let us know what’s wrong with this preview of Little Girl Lost by Richard Aleas. We’d love your help. Let us know what’s wrong with this preview of Grifter's Game by Lawrence Block. A group for Permuted Press authors to join, hang out, and discuss. Readers, feel free to join to get to know you Permuted Press authors!